The video above demonstrates an incredible product that is pre-launch stage that harvests and distributes grey water and it is portable. Collect, Transport and distribute to lawns and gardens with one completely portable operation. An average household could save and recycle the equivalent of an average sized swimming pool over a year. Meaning greener lawns and healthier gardens while maintaining reduced potable water usage! I absolutely love this product. I will be signing up as a distributor if anyone would like to get put on a list when they are available. Click here to learn more about the Gray Water Wagon. 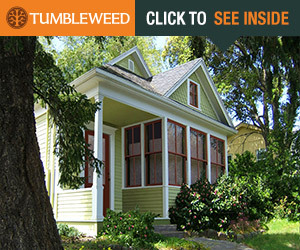 The above article, written by Janet Thome, was reposted with permission from TinyPortableCedarCabins.com. Tiny House Q&A – Trailers, Water, Toilets, Heating, Cooling, etc. Below are ere are some question sent to us by Denis B., along with some answers. Q: Black water, grey water, composting toilets? What the heck are these and what happens to waste that gets flushed in a toilet in a tiny house? Black water and grey water are terms used to describe waste water. Imagine clear water as drinking water. Gray water is slightly dirty, having been used for washing hands or dishes (for example). In some areas of the country, gray water can be drained in small quantities onto the dirt or into a make-shift tiny septic system (a hole in the ground) since it doesn’t contaminate the environment. Black water is raw sewage from the toilet, and for sanitary reasons it must be disposed of properly. Some campers, tiny houses, and remote off-the-grid cabins use composting toilets. These sometimes have chemicals to accelerate the biodegrading process, or they might use sawdust. The waste is dry and in small quantities can be buried. Some composting toilets use electricity or some other heat source to speed dry and/or incinerate the waste. These toilet solutions are designed for situations where running water and/or sewage systems aren’t available. Q: Heating and cooling? Isn’t it cold in a tiny house? Is it possible to use radiant floor heating in a tiny house? Smaller spaces are actually easier, cheaper, and faster to heat and cool. For heating they tend to use boat heaters since these are small and designed for air tight spaces. For cooling, very small window air conditioning units are more than adequate. Depending on the climate, shade, and each person’s preference, some people may just have a heater without an air conditioner. Radiant floor heating might be possible. Some radiant systems rely on stone or other dense materials to retain the heat of oil or water piped through the floor. It’s possible that heavy floor tiles with pipes going through them will increase the weight of the house beyond what the trailer can handle. Also, radiant systems are more complicated than a boat heater and would require a place for the pumping and heating systems. This takes up space in a tiny house. So, generally the small and efficient boat heaters are a favorite choice. Q: How do you decide what goes where when designing the inside? That’s personal preference, but often some thought is given to how a single space might be used for multiple purposes. For example, tables that fold out are a good way to have the surface you need when you need it, and then fold it away when you don’t need it. Some tiny homes have furniture and shelving built-in. Other tiny houses are clean and open inside, with modular furniture added and arranged over time to suite the use. Q: Good trailer vs bad… How do I tell the difference? A reputable trailer dealer should be able to match you with a trailer that will meet the weight and stability requirements needed for your home based on the weight, and also the height. For example, a tall house may require extra heavy duty springs to keep it from torquing and straining the suspension too much. Q: How wide can a tiny house be on it’s trailer, and how tall maximums? 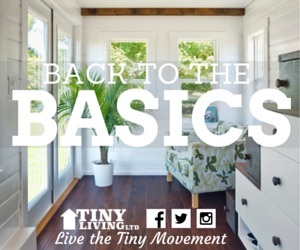 Tiny houses on wheels are governed by the same height, width, and weight guidelines as any other structure on wheels such as an RV or materials being transported. Ideally you’d want to stay at 8 feet wide or narrower. Otherwise you’ll need a wide load permit and it gets more difficult and dangerous to transport your home. Having a travel height of 13.5 feet is about the maximum you would want. If you do a Google search for “height: 13 feet 6 inches” (without quotes) you’ll find millions of results from DOT websites describing this as a limit. Regarding weight, the trailer vendor may be a better source of information for the particular trailer. Generally you’ll want the weight limit of your trailer to exceed the expected weight of your home to ensure it has plenty of strength to support it and move it down the road. Small House Dimensions. People often ask how small a house needs to be in order for it to be considered small. There are various names floating around to describe smaller than usual homes. Below are some names with square meter / feet cutoff points to offer guidelines. You can use an online conversion utility to calculate different sizes. 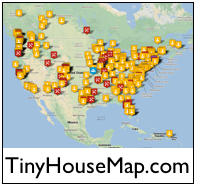 For more information about smaller living, visit the Small House Society. Will there be frequent guests? Do you have or are you planning to have children? If so, how many and when? Will one or more people be planning to operate a home-business in the home? Are there other special needs/wants such as wheelchair accessibility or room for an art studio or grand piano?